Dave Border cleans up the front of his shop in St. Augustine Saturday. 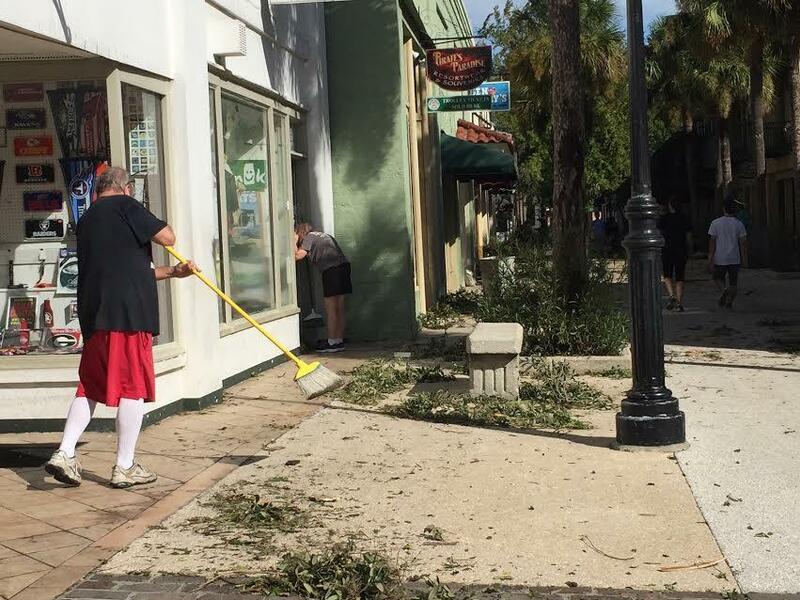 Dave Border spent Saturday morning sweeping away palm fronds, dirt and trees from in front of his World of Flags and Sports shop on St. George Street. Sweat beading on his forehead, he gestured to residue on his shop walls that the flooding left behind. “Had about a foot of water in — you can see the high water mark. … That’s about a foot up off the ground and of course that all went in despite the sandbags and the boarding,” he said. Border said his store opened 35 years ago. In that time, no storm has caused this much damage. His carpet is destroyed, a lot of merchandise is ruined and the floorboards on his front stoop are warped. Further up the street, Terry Akras and her husband are surveying retail space they lease. So far, it seems they were luckier than Border. 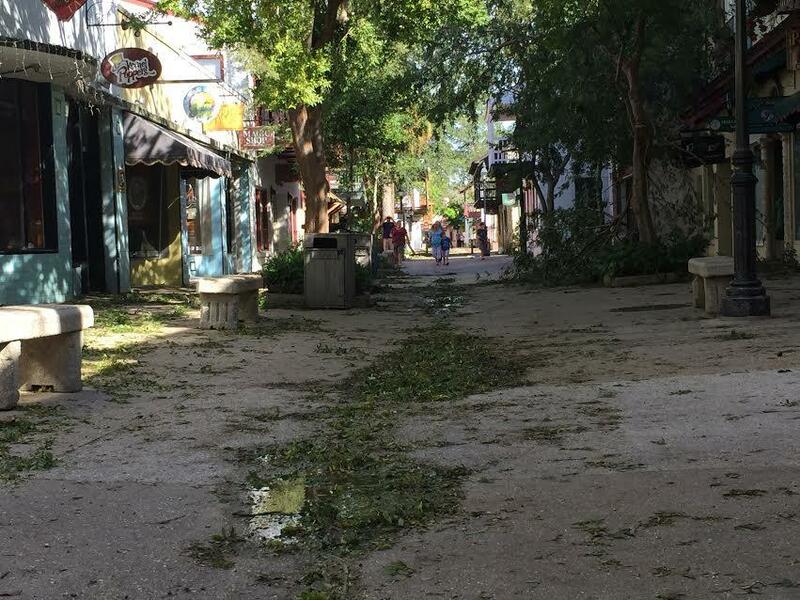 The streets of downtown St. Augustine are covered in debris the morning after Hurricane Matthew. But her home is another matter. Videos on her phone show their Anastasia Island house completely enveloped by marsh water. “There’s our backyard I just showed you with all the beautiful grass. This is our porch, this is the little thing for coming into the house and at this moment the water was coming into my house. Three inches of water all throughout the house,” she said. St. Augustine City Administrator Michael Wanchick said as much as billions of dollars in damage is expected. 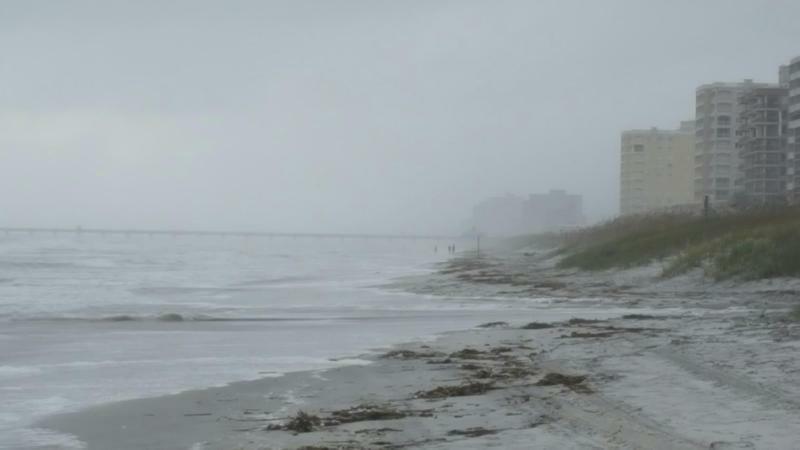 Residents in the city of St. Augustine can return home after evacuating ahead of Hurricane Matthew. Anastasia Island and other coastal areas of St. Johns County remain closed while crews assess damage there. On Saturday morning, city crews were hard at work clearing downed trees and beginning to restore power after Category 2 Hurricane Matthew passed dangerously close to the First Coast on Friday evening. Many shops and restaurants in Jacksonville are boarded up and closed for business as Category 3 Hurricane Matthew inches closer to the city Friday morning. 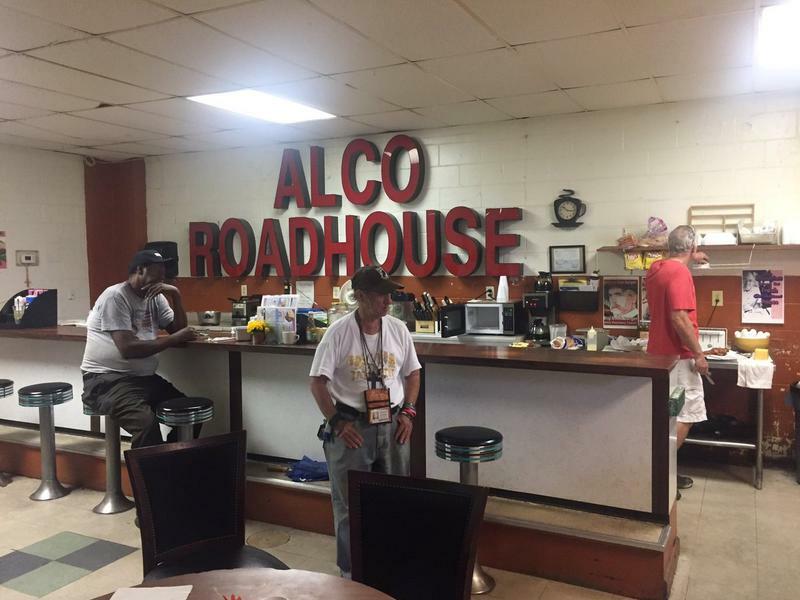 But one diner is vowing to stay open, cooking hot meals for anyone who needs one.